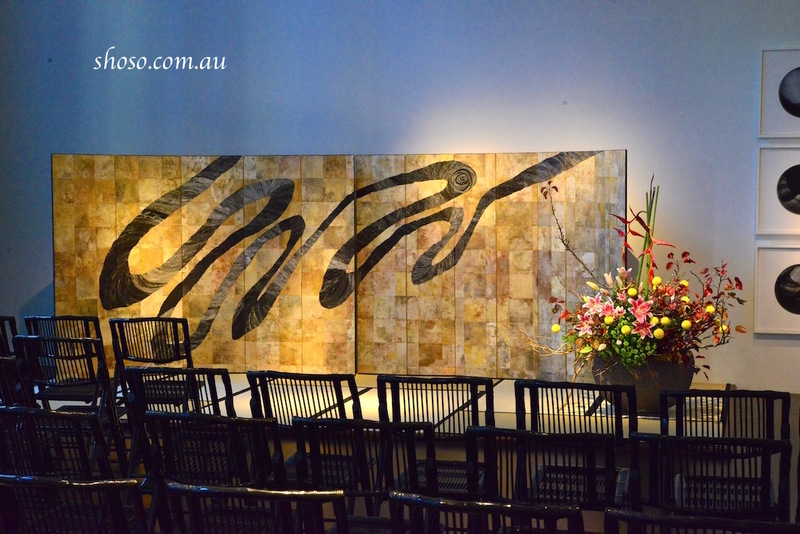 Wedding reception at Lesley Kehoe Gallery, 101 Collins St, Melbourne. 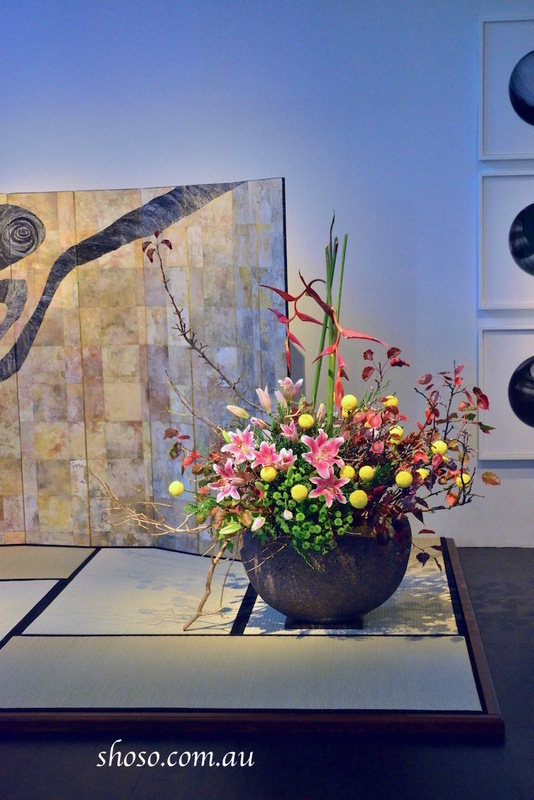 Screen (Maio Motoko), Container (Shoji Mitsuo) & Ikebana (Shoso Shimbo). Special thanks to Dandenong South Primary School & Craig Eldridge (CE Design).